It’s that time again folks. Grab your favorite NFL jersey, crack open a cold beer and get comfy, because its Super Bowl time. The Super Bowl is a great American excuse to eat greasy wings, yell at the TV and have fun! Whether you tune in for the commercials or the big half time show, living rooms across the U.S. will be bolstering with air horns and rivalry debates. In this week’s Apps on Tap, we will review four to-go Super Bowl apps that are sure to entertain and prepare you for the big day. 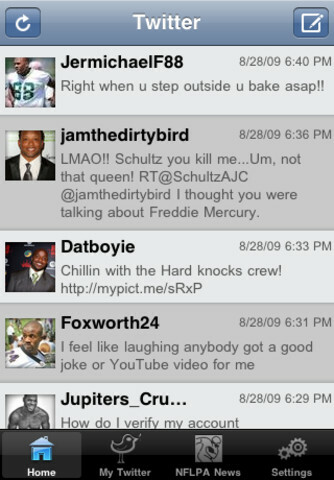 Not only does NFL Pro Tweets connect you with your favorite football stars in the Twitterverse, it’s also guaranteed to give you a few laughs. From the hilarious outtakes of Chad Johnson, formerly known as Chad Ochocinco, to Arizona Cardinals defensive-end Darnell Dockett’s embarrassing failed attempt to ask Miss Alabama on a date, NFL players know how to entertain a stadium full of fans. NFL Pro Tweets, created by the NFL Players Association, is a Twitter application that gives users real-time access to all NFL players’ tweets and the NFLPlayers.com news feed. During the Super Bowl, NFL players will be flooding Twitter with predictions, comments and updates, so join the fun! Who knows maybe you’ll get a tweet from the sideline. Fun Fact: According to statista.com, Chad Ochcocinco, Reggie Bush, Terrell Owens, Larry Fitzgerald, Tim Tebow and Drew Brees are just a few of the most popular NFL players on Twitter. 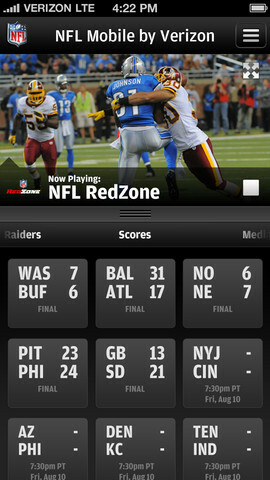 NFL Mobile by Verizon Wireless gives users exclusive coverage of all things football. Not only do users get up to the minute details on every preseason, regular season and postseason game, but they also get to experience the action live. With the NFL Mobile app, users get real-time audio and video game highlights, including NFL Network 24/7, NFL RedZone, NBC Sunday Night Football, ESPN Monday Night Football and NFLN Thursday Night Football. It’s like having Chris Collinsworth and Bob Costas in your back pocket. Users also have access to breaking news headlines, NFL blogs and not to mention all access passes to the 2013 Pro Bowl and Super Bowl XLVII. Don’t be out of the loop or shunned by friends, get the NFL Mobile app and stay on top of your game. While millions of people across the country tune in to see the San Francisco 49ners and the Baltimore Ravens battle it out in hopes to become the next Super Bowl champ, another battle will be brewing in living rooms. TV commercials will battle it out for TV supremacy this Super Bowl and Shazam wants you to get involved. Shazam, synonymous with giving users the ability to discover new music, is now giving TV viewers an inside look into their favorite commercials and TV shows. This Super Bowl, users can get exclusive details and offers using the Shazam app. With the app, users can get up to the minute updates on the latest plays, stats, team information and more. 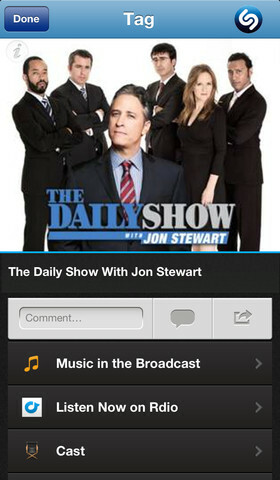 Users can also unlock information, prizes and more with Shazam-enabled TV ads. Viewers can even enter for a chance to win big prizes during the halftime show. With tailgating season coming to an end, go out with a bang this Super Bowl with Tailgate Fan. For those of you lucky enough to attend the big game in New Orleans, this app will certainly come in handy, and fans enjoying the game from their living room can still take advantage of this tailgating powerhouse app. Tailgate Fan takes tailgating to the next level with delicious recipes, contests, photo sharing and more. The Super Bowl always brings out the super fan in everyone, and this year is no exception. Seeing a few shirtless men painted from head to toe, or navel, isn’t unusual (even in 20 degree weather) and wacky face paint and hats are staples among stadium-goers. With the Tailgate Fan’s fun photo tool, users can create photo illustrations of their friends. Post your hilarious photos on Facebook and Twitter, or browse the app’s photo galleries to see nearby tailgates, pregame food spreads, top fan photos and more. Screaming amongst thousands of fans or your TV can be exhausting. 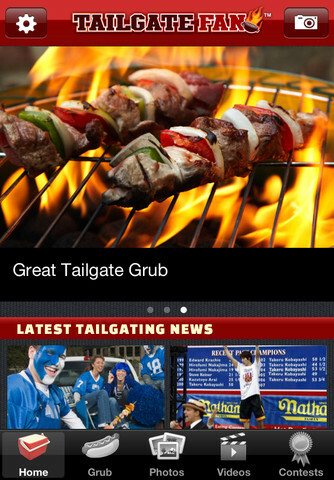 Users can fuel up with Tailgate Fan’s delicious recipes or perfect your own tailgating dish with the app’s cooking tips. In a gambling mood? Users can enter into the app’s contests throughout the season to win great prizes. Play the in-app games or enter into the photo contest sporting your best NFL duds. Wonder how Cowboy fans tailgate in Dallas? Users can upload or browse through videos of other tailgaters in their area or across the country. Don’t let your NFL team or your team of friends and family down this Super Bowl, get the Tailgate Fan app and show them what it means to be a real super fan. Just because your beloved team didn’t make it to the Super Bowl, doesn’t mean you have to miss out on all the fun. Save the pity party for Valentine’s Day. Enjoy pigging out and acting like a crazed fan, with these four fun apps and be sure to tune into next week’s Apps on Taps!